Your worldview defines the way you think and feel, what you say and your perception of people around you. It’s unique to you and has been sculpted across the course of your entire life, influenced by your experiences from early childhood onwards. It can be scary to learn that some of the experiences you have gone through in life may have created deep-rooted biases that affect your behaviour and emotions subconsciously. These subconscious feelings and patterns of behaviour help to explain why sometimes the things that we think will make us feel happy make us upset. Why the goals we chase can cause so much stress and inner turmoil. Why close personal relationships can make us feel lonely or lost. Why the dream of material wealth can feel meaningless once it becomes reality. But it doesn’t have to be like this. With practice and the right tools you can improve any area of your life. 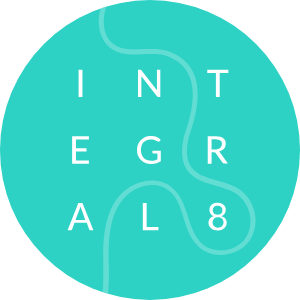 Integral theory provides the framework and tools to improve the way you think, feel and perform. It will help you to become aware of obstacles in your perception of the world and give you a roadmap to realise your potential: more confidence and gravitas, more energy, enhanced leadership skills, stronger relationships and awareness of others, and increased health and wellbeing. And with some leadership development coaches, that’s where the journey ends. But what if you have a partner? Our most intimate relationships are entwined in complex ways. As one person evolves and begins to see the world differently, it can create imbalance and tension. Even when that person is changing for the better. So if you have a long-term partner we will also work with them to foster deeper mutual understanding.